Maeve and Dave got married in the (and I don’t use this term lightly) but extremely unique venue of Ashley Park House just outside Nenagh. I’d never had the privilege to shoot here before so I wasn’t sure what to expect, so as I drove through the gates and the house revealed itself across the lake I remember being taken completely by surprise. It’s something else! Reminding me very much of the colonial houses I saw in New Orleans a couple of years ago. So incredibly different in this part of the world and extremely beautiful. To make things even more interesting, any ceremonies that are held onsite are in the most incredible and completely contrasting boathouse. The boathouse is box-shaped with glass on three sides, suspended over the water offering spectacular views over the lake. Pretty special. So just that alone started this day off in the best possible way. Then, on top of that, I’m lucky enough to be photographing Maeve and Dave and only on probably one of the nicest autumn days I can remember. Some days this job is hard to beat and this particular day was certainly up there. I witnessed big hugs, tears, a game of exploding kittens played by four grown men that only one of them knew how to play, I watched one of my former grooms take his role as buttonhole fastener extremely seriously and make a mighty fine job of it, I watched two wonderful bridesmaids do their best to distract Maeve when timings in the morning were looking tight, I got really close to a peacock and was a bit scared (are they like swans? can they break your arm but in a more colourful way? ), I heard the best choice of music during a ceremony ever, the most seamless tissue pass ever (sheer teamwork), sunshine, lollipops, I petted the most gorgeous guide dog, I witnessed one of the best unscripted best man speeches ever that was so wonderfully weird in parts that it had everyone including me in stitches, a speech by Dave the groom that was wise and beautiful beyond his years, Spring Break (I’m an official fan club member – awaiting my badge and stickers in the post anyday), and some of the most scray dancing ever – I will NEVER forget the baywatch dance for as long as I live. Who knew there was a CPR dance move?! Think what it must have been like to be a guest at this wedding. I envied every single one of them. 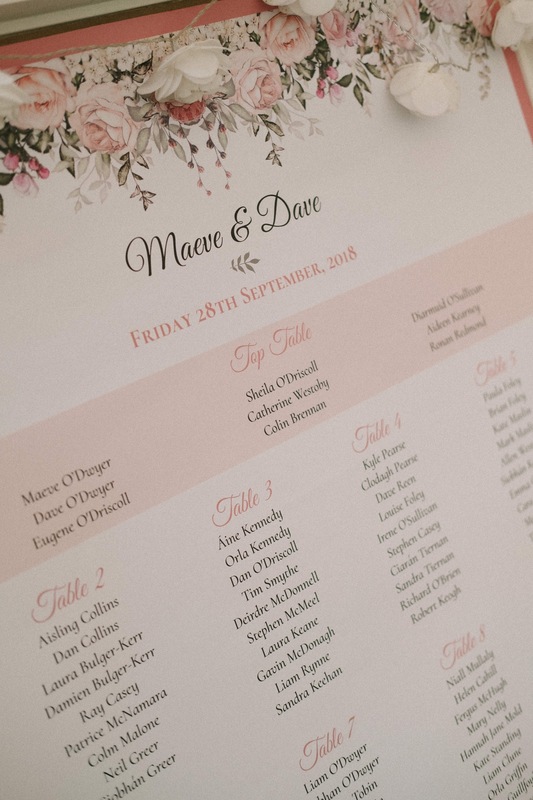 Maeve and Dave – matched as perfectly as your names. Thank you for letting me share this. Hugs to you both. Big ones.